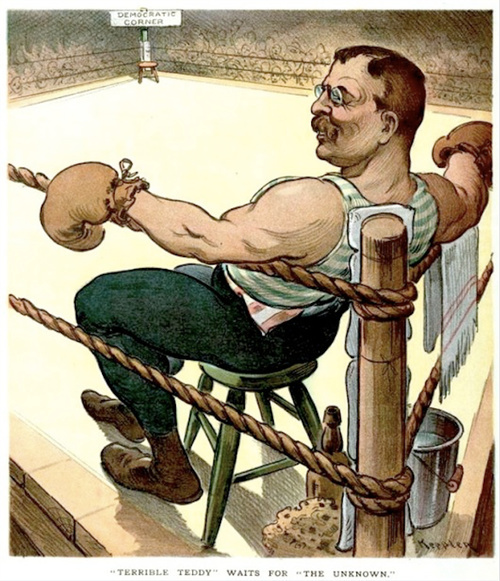 Teddy Roosevelt in a 1904 Election Puck Cartoon. It turns out that Theodore Roosevelt, the 26th President of the United States of America, was something of a fighting man. Among the fight disciplines Roosevelt dabbled in were boxing, wrestling and judo. To read more about his pursuits, head over to Fightland by clicking here.